When will we get serious about virtual/web based/online conferencing? So for a couple of hours today I have been looking at conferences on Health 2.0 or Medicine 2.0 to attend this year as I want to go and see what’s out there, what kind of work people are doing, have great conversations etc…Aside from the cost of travel, the registration prices for these conferences are staggering to me, a recovering academic. Maybe in the corporate world, people feel $1500 for conference registration is a good deal for a bit of knowledge and conversation but for where I have spent the last 10 years, it is nothing short of excessive. Of course, as one of the academic realm, I am eligible for a “discount” of a “not to sniffed at” sum of $500, taking my registration fee to $950, but taking into account time away from work and the ever increasing air fare game we are in, I am looking for other ways to have that great conversation…. Earlier this year, I co-hosted an international virtual conference on “global visions of organizing and communicative practices” on a shoestring. We had courageous participants from Nigeria, Nepal, India, New Zealand, Japan, Brazil, Australia and China. Part of our drive to hold our 3 day conference on the web was to provide a venue that all could “access” without the economic, immigration, political or institutional burdens we usually have to bear. We looked everywhere for software which could support us. There were some such as Icohere and Elluminate which manage your conference for you from start to finish, but we were paying for it out of our own pockets. Some people use blogs like this, which also work well. There are also those companies such as Eventvue and Crowdvine which will support an online community for your conference (but not the conference). In the end, we went with Ning and built a community there where people could have pages, post their presentations, have group discussions, forums, post videos, blog etc. Schweeeeeeet! Big Social Data: The Next Frontier? Whose words are they, anyway? Klout vs. the Blogosphere: What does it mean to be influential? How human should brands become? Wineries & Social Media Part 1: David moves faster than Goliath … again. 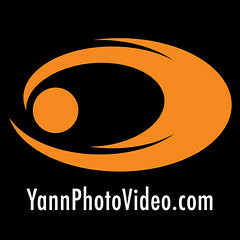 Yann's work is found at the intersection between rich media and PR 2.0, Social Media. Ideally, I work on both sides with clients. Transmedia is the natural evolution of the current marketing, social media landscape.